A history of anorexia nervosa has been associated with a reduced risk of developing breast cancer. We investigated survival after breast cancer among women with a prior anorexia nervosa diagnosis compared with women in a population comparison group. This register-based study included combined data from Sweden, Denmark and Finland. A total of 76 and 1462 breast cancer cases identified among 22,654 women with anorexia nervosa and 224,619 women in a population comparison group, respectively, were included in the study. Hazard ratios (HR) for overall and breast cancer-specific mortality after breast cancer diagnosis were estimated using Cox regression. Cause of death was available only for Swedish and Danish women; therefore, the analysis on breast cancer-specific mortality was restricted to these women. We observed 23 deaths after breast cancer among anorexia nervosa patients and 247 among population comparisons. The overall mortality after the breast cancer diagnosis was increased in women with a history of anorexia nervosa compared with population comparisons (HR 2.5, 95% CI 1.6–3.9) after adjustment for age, period and extent of disease. Results were similar for overall (HR 2.3, 95% CI 1.4–3.6) and breast cancer-specific mortality (HR 2.1, 95% CI 1.3–3.6) among Swedish and Danish women. 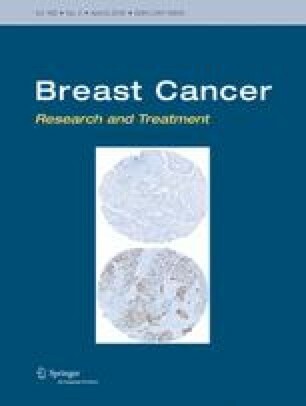 We found that female breast cancer patients with a prior diagnosis of anorexia nervosa have a worse survival compared with other breast cancer patients. The authors would like to thank Kirsten Frederiksen for statistical assistance. This study was supported by funding from the Danish Research Council for Independent Research (Grant No. 11-108395) and the Danish Cancer Society. In Sweden, the study was approved by the Regional Ethical Review Board in Uppsala. In Denmark, the study was approved by the Data Protection Board and in Finland, by the National Institute for Health and Welfare. Approvals from Ethical Committees are not needed for registry-based research in Denmark and Finland. Written consent from study participants was not obtained since in all three countries this is not required for register-based studies that do not involve contact with study participants or biological samples.